News > Events > The Edtech Podcast: what do teachers want from edtech? The Edtech Podcast: what do teachers want from edtech? Hello! 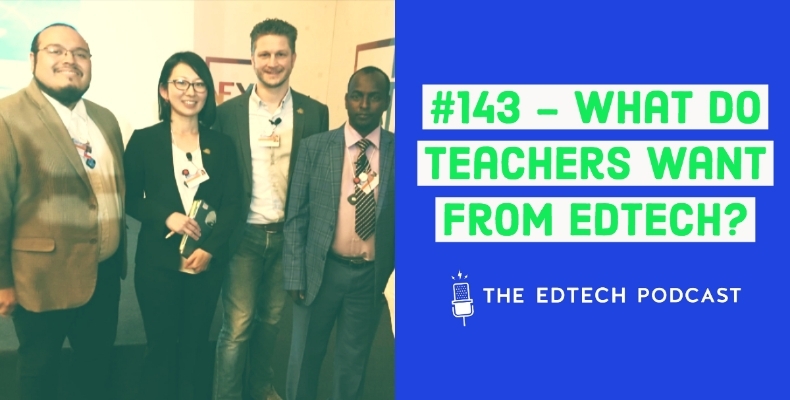 This week you’ll hear a cameo from my little one when he was far more little and trying out his microphone skills, plus a panel of teachers from around the world and in wildly different settings on what they want from edtech. This episode was recorded live at the Global Education and Skills World Forum. Enjoy, and send us your feedback and comments. See our review of GESF here. The Edtech Podcast: what about play-based learning?